Copyright (c) 2011-2013, Winterbrose Arts & Graphics. All rights reserved. 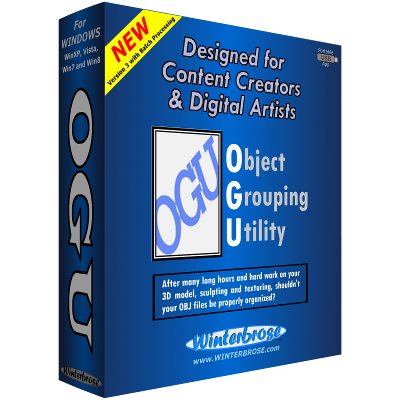 OGU is an advanced object grouping utility that Imports a 3D Model in the Wavefront Object (OBJ) file format and Exports an equivalent OBJ file with all the polygonal face/surface entries organized by Groups and Materials. OGU is self-contained and a fully portable application. Most 3D software handles the face/surface entries haphazardly and even though the object seems unaffected, it creates a nightmare for any manual modifications or searches through these portions of the OBJ file. You can read the complete User Guide below or download the PDF version by clicking button. 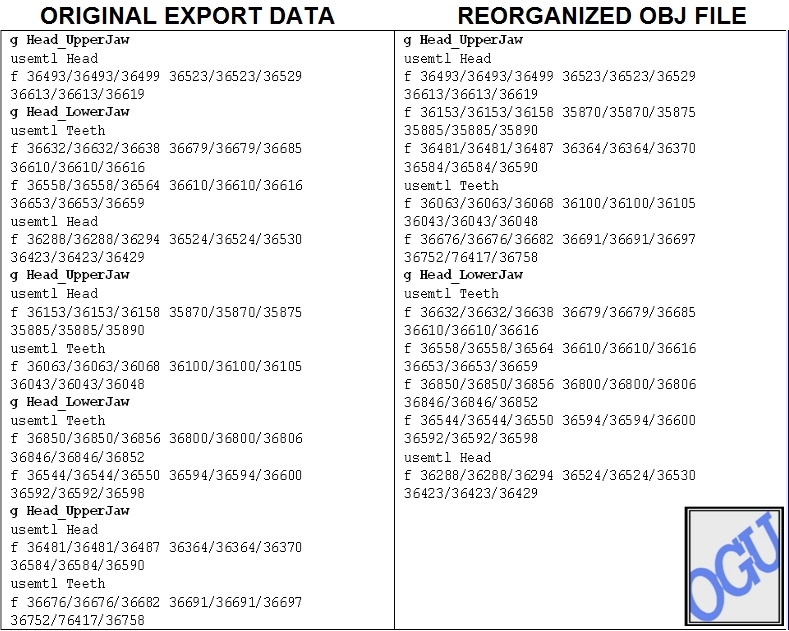 * It's a form of automated OBJ optimiser/regrouper. * Easy to install, just extract zip and add serial number. * Certainly fast and leaves any existing mapping unchanged. 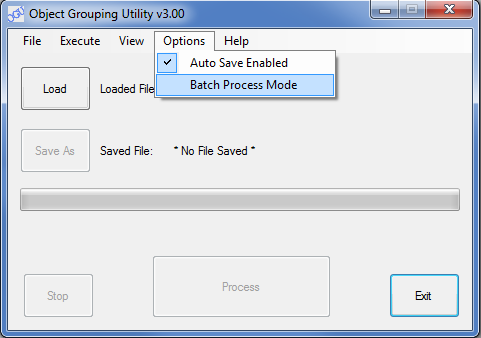 * Batch processed 2 folders, 30 and 300 objects, it work perfectly. If you're one of those digital artists who develops scenes for animations in Poser or similar products and ports them over to Animation software like After Effects as OBJ files, then this feature alone is worth the purchase price. 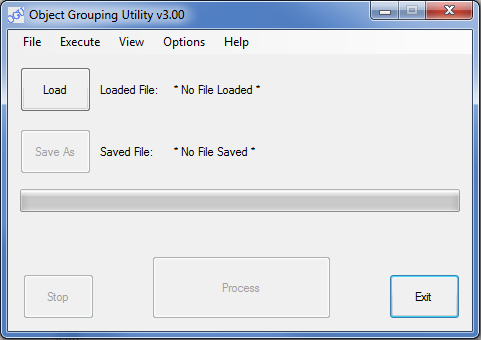 Ability to keep your input and output OBJ files into separate folders. 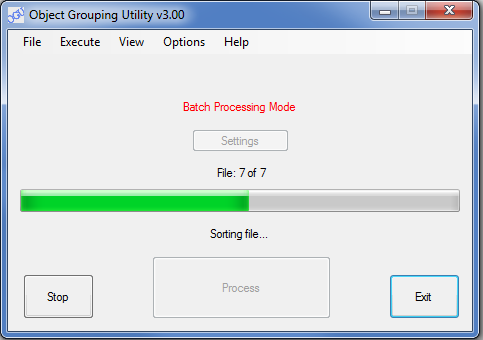 Real-time progress updates to keep you from guessing how much has been processed. 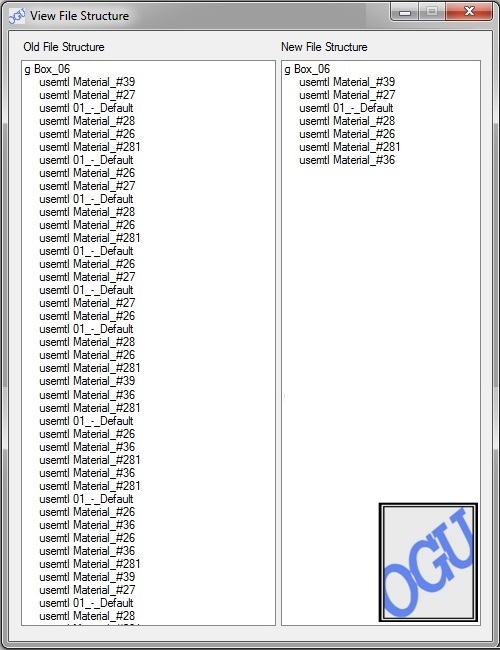 Check out these unmodified results of testing on 2 different computer systems.